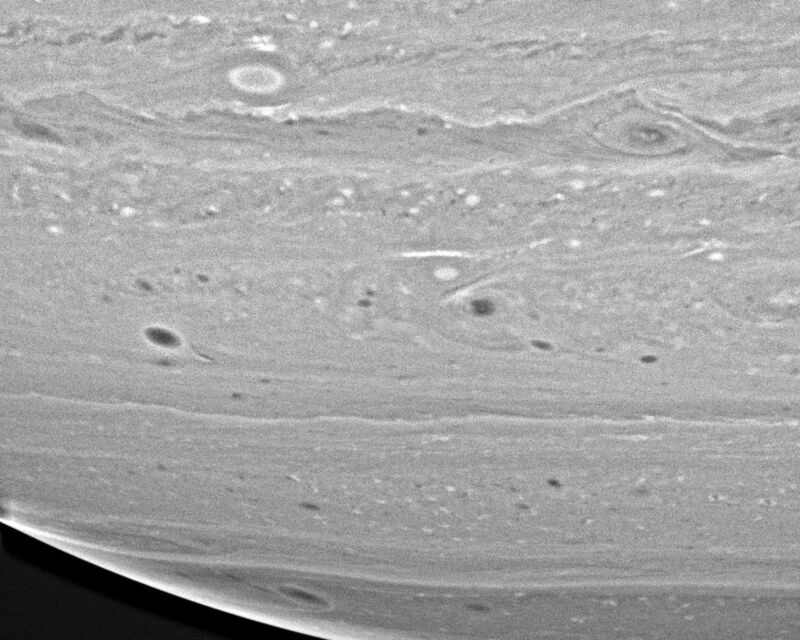 Cassini captured this revealing view, which shows that Saturn's hydrogen- and helium-rich atmosphere is a dynamic place, filled with spots, ovals and swirling vortices and filaments of gas. The image was taken with the Cassini spacecraft wide angle camera on Dec. 14, 2004, at a distance of 595,000 kilometers (370,000 miles) from Saturn through a filter sensitive to wavelengths of infrared light centered at 939 nanometers. It has been highly processed to enhance details. 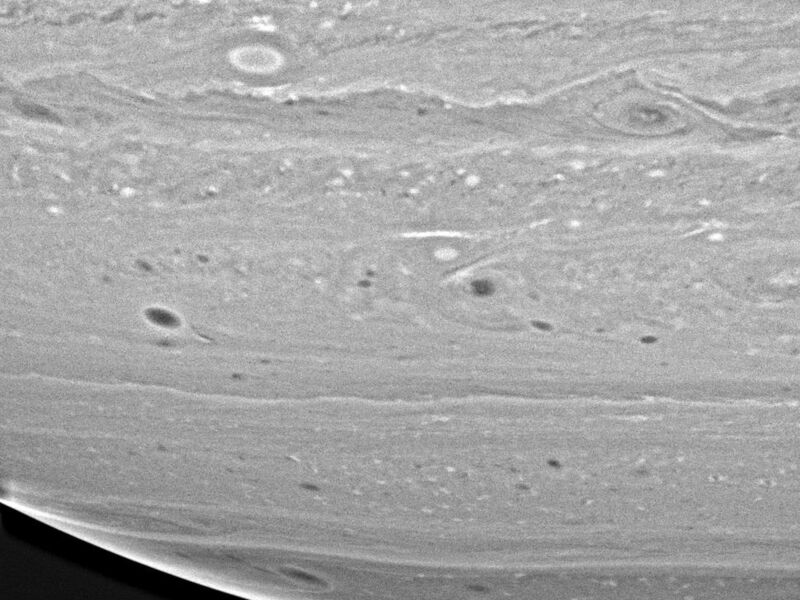 The image scale is about 32 kilometers (20 miles) per pixel. For more information about the Cassini-Huygens mission visit http://saturn.jpl.nasa.gov. 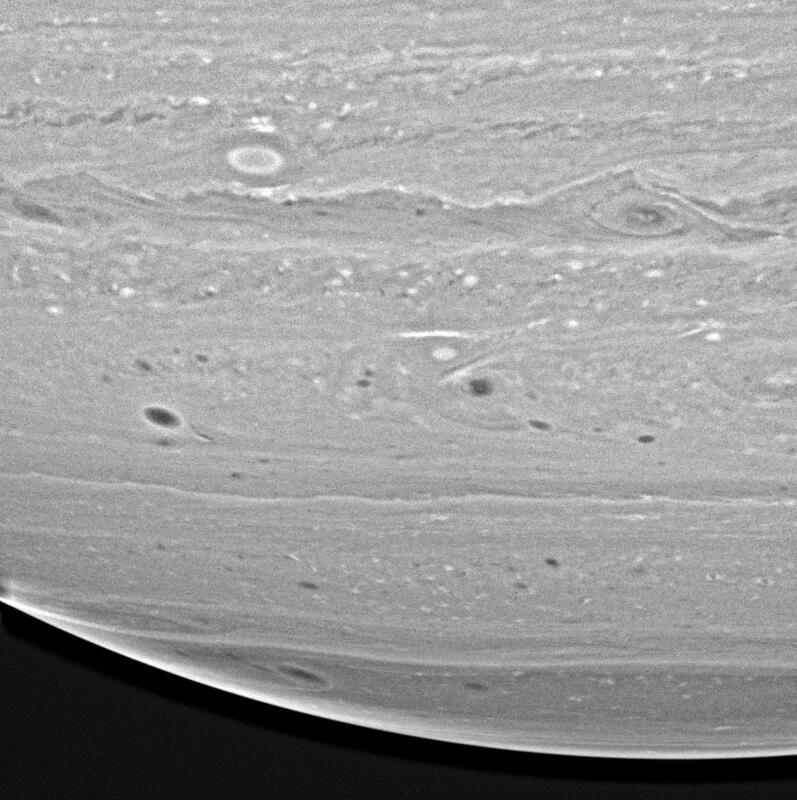 For images visit the Cassini imaging team home page http://ciclops.org.